Formerly a Principal Dancer with Birmingham Royal Ballet (UK), a Soloist with San Francisco Ballet and Boston Ballet, David has enjoyed a choreographic and performance career over thirty years including the principal roles of the classical and contemporary ballet cannons. David's critically acclaimed choreography is described as "surprising," "poetic," and "almost obsessively cohesive." David holds a Master of Arts degree from the University of Birmingham, United Kingdom. 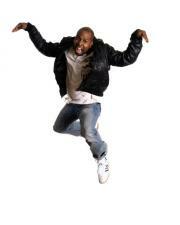 He is Associate Professor of Dance with tenure and Head of the BFA in Dance at the University of Texas at Austin. View his work here. 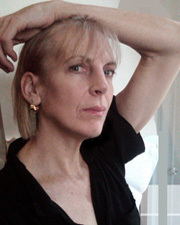 Regina Klenjoski is a creator, performer, educator and advocate of contemporary dance. Passionate about the moving body, she creates deeply personal works that examine our search for intimacy in contemporary society, often through the lens of her Macedonian heritage. Recognized by the Los Angeles Times as “one of the most active and ambitious dance makers leading Southland contemporary companies,” her work is known for its inventive partnering, technical athleticism and poetic storytelling. View her work here. Lane Gifford is the founder of LaneCoArts, a company with a multi-arts mission to articulate a distinct movement aesthetic through the interchange of dance with narrative and visual art components. Born and raised in North Philadelphia, Rodney entered the hip hop scene in 1988. Hill is an accomplished teacher and choreographer, teaching in universities and dance studios locally, nationally, and internationally. Once a core dancer, production assistant, and road manager, Hill is currently the Company Manager of Rennie Harris Puremovement and Rennie Harris R.H.A.W. View his work here. Autumn Eckman, an Atlanta native, is currently serving as Assistant Artistic Director and Resident Choreographer of Giordano Dance Chicago. Talia has been a member of the Inbal Pinto and Avshalom Pollak Dance Company as a dancer since 2002. 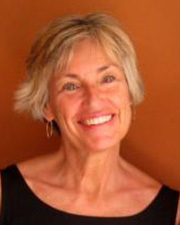 Robin Pettersen is a freelance artist offering workshops in dance composition.